I used to hate watching Back-to-School themed commercials as a kid. Even when I was in college, it was a bitter reminder that summer was ending, and freedom was about to be superimposed by schooling. I discovered one deal that makes all back-to-school sales worthwhile. Gateway is offering the P-7811FX for $1399.99 at retailers like Best Buy. The P-7811FX is one of Gateway’s newest gaming notebooks, and it is much cheaper than most gaming notebooks. 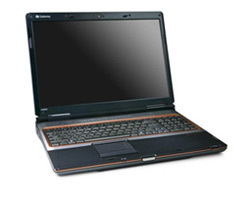 The P-7811FX has a 17-inch widescreen with 1920 x 1200 resolution, as well as a built-in webcam. Of course, it is inside that what counts when it comes with computers, and this one does not disappoint. This gaming notebook has the NVIDIA GeForce 9800M GTS graphics solution with 512MB of video memory as well as an Intel Core 2 Duo P8400 processor. As for memory, it has 4 GB of RAM, and a 200 GB hard drive. The company has stated that this is the first gaming notebook to use Intel Centrino 2 technology. This is definitely the computer that I would want to take back to college. However, it is a double-edged sword, because I’m pretty sure that I would spend more time playing World of Warcraft than I would be studying.